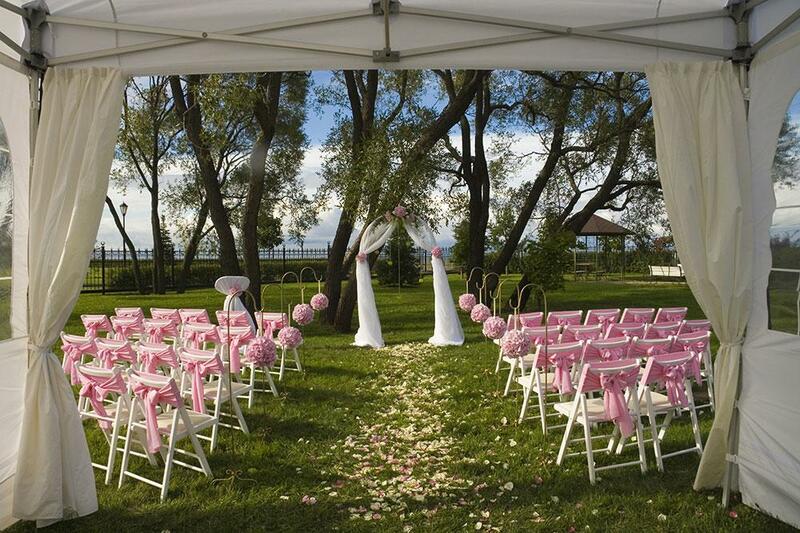 Rent Bel-Wood Country Club | Corporate Events | Wedding Locations, Event Spaces and Party Venues. Bel-Wood Country Club sits on a beautiful, 18-hole golf course composed of lush greens, mature trees, and ample bodies of water. With a Ballroom accommodating up to 300 guests overlooking the grounds, Bel-Wood is sure to provide a unique and intimate experience for you and your guests. In addition to weddings, we pride ourselves in providing exceptional service for a breadth of other special events you may be planning. Our facilities offer up accommodating, fashionable spaces for all event sizes and needs. From cozy lounge rooms to catered swimming pools, we are prepared to provide you with quality service while you enjoy the vibrant and relaxing accommodations Bel-Wood has to offer. The venue provides staffing for the bar and banquet. At this country club, couples have the choice of offering their guests a dinner buffet or plated courses.